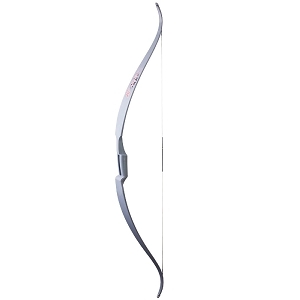 IS ONE TYPE OF BOW "SAFE" AND ANOTHER DANGEROUS? That's an important question and the answer is basically no. All bows are dangerous. First, it's a little tough to classify bows by intended age group. 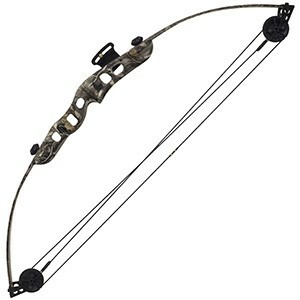 Bows are generally sold by sizing/fitment of the shooter, not necessarily age. Nevertheless, some kid's bows clearly seem like toys; other youth bows are obviously real modern bowhunting weapons. So which ones are safe? None of them! Kids bows can be just as lethal as adult bows. Before you begin considering bows for kids, you should keep one thing in mind. Unless it shoots foam suction-cup arrows, a bow is never a toy. Bows are weapons. Be advised that any rigid arrow with a hard tip will penetrate upon impact with something (or someone). There can never be unsupervised play using a bow and arrow set as a "toy". Consider this reality very carefully before choosing any archery equipment for children. Adult supervision is required at all times. Even a 20 lb. "kid's bow" will cause considerable damage to property and person if used carelessly. Teach kids to respect their archery equipment and follow proper safety protocols at all times.